Dharma, dharma everywhere — even in my just published short story! Yay! My short story The Homecoming is in the Fall 2018 issue of the Birdland Journal, an online publication that celebrates the voices of Northern California. Why do I mention this in a blog about meditation and Buddhist teachings? Because, while a work of fiction is very different from a dharma talk or post, we can always discover the dharma if we’re looking. In this story, a minor fact about the main character is that she has a regular meditation practice, but while out of town on business, she has not had the chance to do so. Non-meditators might not even notice that mention. But meditators will recognize and probably relate. When we travel our schedules change and often our time is not our own. How do we deal with that challenge? Hopefully better than this character. Not that she becomes a serial killer or anything. She’s just a woman leading a busy life, but it’s interesting to consider how if she had kept up her practice, she might have been in a better frame of mind to cope with all that arises in her experience when she arrives home. Just sayin’. Even under challenges circumstances, most of us can find at least a few minutes here and there to meditate. When we think our practice has to be ‘just so’ and a specific length, we can lose out on opportunities to at least bring our attention to physical sensation, relax and release tension, and center ourselves. While this doesn’t replace regular practice, it certainly helps! The kind of meditation I teach I consider a ‘portable practice’ that can be done anywhere, even in public places like the waiting area of an airport, without props, special poses or anything that would draw attention. Just sitting. Dharma or no dharma, I hope you will take a few minutes to read this short story! I had fun writing it and I hope you’ll have fun reading it. I’d love to read your comments. This entry was posted in dharma, meditation practice and tagged Birdland Journal, meditation, short story, Stephanie Noble on September 28, 2018 by Stephanie Noble. At the beginning of a silent Buddhist retreat we ‘take refuge.’ This is a moment of deepening and clarifying our intention, one that we can take any time, whether on retreat or not. The word refuge means sanctuary, safe haven and sheltered harbor. But the refuge we are talking about is not a physical place. It is not the retreat center. The retreat center provides an ideal situation with which to become familiar with our own refuge: our awakening awareness, spaciousness and luminosity, through which our relationship with the world is transformed. So a refuge is not a getaway, not an escape into numbness or zoning out. It is a refuge of finding the space within each moment. Each atom of existence is mostly space. Even the most solid objects are mostly space. Our bodies at the cellular level are mostly space. If we can attune our awareness to the spaciousness of being, we give ourselves room to breathe even in the most challenging situations. A retreat is not a getaway. There are many challenges on a retreat: Sitting for many hours a day (multiple periods – not all at once!) being in silence, being with our own thoughts all the time, being away from our own entrenched patterns of living including all the distractions we take for granted. And taking refuge is not an escape route, but a way into being fully present with whatever arises. Traditionally we take refuge in the Buddha, the Dharma and the Sangha. The historical Buddha, the great enlightened teacher who developed a way to help us understand the path to awakening, is an inspiration to us. We take refuge in his example of how cultivating a dedicated meditation practice with intention, patience, perseverance and a willingness to be present with whatever arises leads to awakening fully into the present moment. Dharma is the teachings or the truth. There is the dharma passed down over the past 2500 years of Buddhist teachings, and there is the dharma of inquiry and insight from our own experience in life. There is dharma in nature when we stay present with it instead of racing through it. We take refuge in the cultivated and natural wisdom of the dharma to guide us on our path. Sangha is the community of practitioners. On a retreat the sangha is the group of fellow retreatants and teachers with whom we silently sit, eat and walk. The sensed support of so many people on a shared personal quest of mindful self-discovery is palpable in the shared silence of the retreat. We do not have to be on a retreat to take refuge. We can begin our daily meditation practice with this vow. ‘I take refuge in the Buddha…. I take refuge in the Dharma…. I take refuge in the Sangha.’ After saying each part of this vow, really sense in to the meaning of what you are saying. I have added visual pauses to remind you to do so. Although it would be grammatically correct to shorten the three sentences into one, saying ‘I take refuge in the Buddha, the Dharma and the Sangha,’ it would undermine the fullness of intention. Taking refuge is a skillful way to center in and establish the space for our intention to be present and compassionate. It’s like setting the table for dinner, clearing away the newspapers or the children’s homework and dedicating the table for the purpose of a meal, giving the meal our full and present attention. Taking refuge is not hiding out from life, but acknowledging our need for centering and balance in order to be fully present for whatever arises. Think of the word refuge and see what comes to mind for you. In my life there have been times when taking refuge was snuggling up in bed with a favorite comfort food and a stack of novels in which to lose myself. There’s nothing wrong with enjoying a novel, being cozy, or eating a favorite food, but believing ‘losing myself’ is the antidote for whatever overwhelming causes and conditions there are in my life is flawed thinking and unskillful. Overwork is not balanced by over-indulgence. Mindfulness brings about skillfulness and balance so that we don’t push ourselves beyond what is possible. We can claim rest as a natural part of our skillful work experience. We can recognize our physical and emotional needs as they arise and assure that we are not pushing ourselves to the point of exhaustion or the need to hide out and get away from the world. If we are very out of balance and unaware of our connection to all that is, we can misunderstand taking refuge. Like a plant trying to root in rocky soil, we can mistake a rock for solid ground. We can wrap our roots around the rock, holding on tight, believing ourselves to be stable. We might mistake the historical Buddha for a god and dedicate ourselves to holding him up to the light so that we are in the shadow of this Buddha figure we have created and thus receive no direct light ourselves. We cannot flourish and grow to the fullness of being with no light and such a shallow anchor. We are in a state of disconnection and duality, where the Buddha is a god and we are nothing. However much this confirms our core beliefs and however much it resonates, we must explore our need to separate ourselves from the flow of life, to hold ourselves in the shadow instead of the light, to cling to a rock instead of rooting in the rich soil of life. We can get stuck in the words delivered. We can become fundamentalist in our protection of them, turning them into dogma without experiencing them for ourselves, questioning and testing the truth in our own lives as the Buddha instructed. The teachings remind us again and again that they are the finger pointing at the moon, and that we must not get fixated on the finger but look to the moon itself. I recently had a practitioner (not a student of mine) bristle at my exploration of the Eightfold Path using the word ‘spacious’ to see how it enhanced our understanding of the concepts presented. She went to her teacher to see if this was all right. He said that although it was not the literal translation, he could see that the word ‘spacious’ could help to alleviate over-efforting which is a real problem with many meditation students. But she could not see it. She felt threatened by it. She felt it was crucially important to adhere exactly to the words as they have been handed down and translated. I assured her that in my first go round I taught the Eightfold Path in the regular way, but that this was another exploration with advanced students. She brought up how important adherence to the rules is in the practice of the piano or dance. I was so glad she brought those up because at some point after you have done the necessary exercises to learn these skills, you need to open to the flow of the music and connect in a deeper way, allowing yourself to be a full expression of the instrument you have created through your dedicated practice. She totally disagreed with this. She stayed entrenched in her view and nothing I could say or her teacher could say, would shake her tight hold on her understanding. We all have places where we get tight and it’s good to notice and to explore why it is so important to us, why we feel so threatened. Clues to holding tight are when we shake with emotion or our voice becomes strident. There may be a shift from authentic expression to rote proselytizing that turns off those we address. We can’t listen to words from those whose views differ from ours without fuming with anger. What an opportunity to see the volcanoes in our own inner landscape! When we find ourselves erupting, what an opportunity to center in, to be present, to question and to notice the associative images, memories and fears that arise with the lava of our emotions. This is not to talk ourselves out of anything, it is simply to notice the workings of the human mind, in this case our mind. Fascinating! And potentially enlightening. This exploration is like sending new roots down into the rich soil that is ever available to us. Doing so allows us to find the richness of the dharma rather than the tightness of dogma. We believe that the small group of people with whom we sit is the key to any success we have with meditation. We think of the sangha as a particular set of people, and when there is a change in the group we experience it as a loss or intrusion. When I used to do the Dances of Universal Peace, I was always amazed at how at the beginning of the dancing, when we would stand in a circle and hold hands, I would always end up next to the person I felt most uncomfortable with, the person I might have even dreaded because their personality felt so abrasive or discordant in some way. Over the years of dancing I began to expect this to happen, and to know that by the end of the dances somehow that apprehension or distaste would completely dissolve, as we all settled in to our deeper truer selves where we are all one, beyond the seeming differences in our personalities. I noticed that often the very person who I dreaded turned out to be the one that somehow brought the greatest gift to my experience. The Dances of Universal Peace are associated with Sufism. In Buddhism this experience might be called an example of the dragon at the gate. When we come upon a strong aversion that blocks the way to fully engaging in a life-enhancing experience, we can see it as the dragon at the gate of our spiritual temple. Are we put off by its fire-breathing roar? Do we run away defeated? Do we keep our eyes on the door and ignore the dragon? Do we get in a battle with the dragon? Or do we recognize the dragon for what it is, as Buddha recognized all of Mara’s taunts and temptations as kindred illusion, known and non-threatening. And so it is in the sangha. At first we are relating only to personalities, dredging up associative memories that validate our judgments about someone we don’t know or have barely begun to know. This can easily happen on a retreat. With so much time on our hands, it is easy to observe a particular person or group of persons and have a running commentary of judgments. Perhaps they are not fully partaking in the retreat, sleeping in instead of meditating, for example. They take on significance for us and we can’t help but somehow feel threatened by their unwillingness to take the retreat as seriously as we are. So we can get fundamentalist about what it means to be a sangha and see how people are falling down on the job. Conversely we can underestimate the power of the sangha and not take it seriously enough, not understand that our behavior, our honoring the vows we have taken may result in behavior that can undermine and even unravel the well being of the sangha. So, continuing with this plant analogy, when we root in nourishing soil where our roots are free to grow as needed, and we don’t mistake a rock as solid ground, we flourish and we are stable in our understanding. Like plants whose root systems are nourished and unimpeded, we can grow to the fullness of our nature. When we take refuge in the Buddha we honor the historical Buddha for his teachings and his great inspiration that reminds us again and again to open to our own Buddha nature, our own capacity for awakening in any moment. When we take refuge in the Dharma, we value the concepts we study for the structure and insight they provide us. We see the wisdom and we learn from our own experience, from our observations of nature and from the rich sharing of others. When we take refuge in the Sangha, we value to community of practitioners for our shared commitment, but our awareness of the sangha-nature of all beings grows through our practice. So taking refuge is a deepening on all levels. It is not an escape route but an intention to live from our Buddha nature. It is not a vow to believe whatever we are taught but to open to the dharma through the wisdom teachings, through observing nature and through direct experience and insight, always with curiosity and willingness to question our own truths and those presented. And it is not a vow to dwell in peaceful delight with a particular group of people, but to recognize and honor the deep abiding buddha nature in all beings. This entry was posted in Buddha, Buddhism, dharma, http://schemas.google.com/blogger/2008/kind#post, retreat, sangha, Taking refuge on May 9, 2011 by Stephanie Noble. Last week we talked about the Three Refuges, ‘The Triple Gem’ of the Buddha, the dharma and the sangha, or as Rick Hanson in his book Buddha’s Brain calls them: teacher, truth and community. I shared how on a Buddhist retreat at Spirit Rock Meditation Center, the gathered retreatants ‘take refuge’ formally by repeating a call and response chant the first evening before going into silence for the course of the retreat. On a retreat this sense of refuge is palpable. Physically we are in a land apart from the hustle and bustle of normal life. No crowded noisy streets, no driving, no television, no telephone, no radio, no computers, no music except perhaps some evening chanting. No shopping. No reading. No writing. Just our own bubble of experience within the calm of a community in silence. We are on retreat not just from busy-ness of our regular lives but from social interaction as well. We neither speak nor have eye contact with one another. We don’t need to think of the right thing to say or smile at someone. There are many courtesies within this silence, but they are done synchronistically, needing no involved interaction. The only exception is during some yogi jobs that require teamwork and during short group meetings with a teacher, just to check in and see how we are doing. There are yogi jobs that require no interaction, and most teachers will respect your silence if you wish to maintain it in meeting, as long as they can sense you are okay. This silent spaciousness to simply be can feel lovely or scary at various times throughout the retreat. Non-interaction is especially freeing for those who are compulsive talkers and interactors. Sometimes it’s a difficult adjustment, but mostly it is a deep and rich release, all the more profound for the contrast. While silence does not free us from any interior turmoil that might arise, it does give us a lot of space in which to notice it. It’s similar to the way the refrigerator’s hum is hardly noticeable during the day, but in the middle of the night its sound is amplified. On retreat there is a lot of time to sit and walk with whatever arises, and a lot of support to stay with the experience, regardless of whether it is pleasant or unpleasant. Usually by the end of a retreat the mind is clearer, the heart is softer, and the body is healthier. Having taken refuge in this safe environment that demands so little of us except to sit, eat, walk and do a yogi job for less than an hour a day, we settle in to ourselves and gain greater insight into the nature of our existence in this body at this time. Most likely, having had a powerful positive experience on retreat, we set our intention to carry that clarity of mind and openness of heart out into the world, to give ourselves sufficient time to really meditate, to eat slowly with great appreciation for all who contributed to the meal from the sunshine and seeds to the cashier at the market to the cook, and to walk in nature at a pace we can really see, hear, smell and feel connected to the natural world. We set these intentions and maybe to a certain degree we can keep them. We might come home and establish a more consistent meditation practice if we didn’t already have one, or renew our dedication to our existing practice, having seen how valuable it is. And at least for a while hopefully we are able to carry over some of that deep rich interaction with the world around us that we had on the retreat. But it would be most unusual to be able to sustain that deep inner calm and clarity for very long. Out in the world, back in the fray, we find ourselves mindlessly munching, chatting away on our cell phone, watching something we don’t care about on television, and walking or running right by the trees and the lizards who whispered all their secrets to us on retreat. Chances are we barely notice the song of the birds or the sound of the water, or even the feel of the ground under our feet. So what was the point of going on a retreat? Was it just an escape with no sustained value? For most of us the lasting value of the retreat is learning that we do indeed have the capacity to be present. If we have never been on retreat and if we find meditation challenging, then this inner discovery is crucial. Even though we may not be present in every moment of our lives, we now know that we can be present. We know what being present feels like. We have learned what elements help us to be present and on retreat we have had extended opportunity to practice them. Setting our intention to be present. Making space in our lives for a regular meditation practice. Intensive concentration training that shows us how to be with whatever arises. Wisdom teachings in whatever form we receive them best. A community of supportive practitioners who remind us that being present is possible in every moment. So what we take home with us, when we have broken our long silence, is the Three Refuges – the Buddha, the dharma and the sangha. We take home the Buddha in the inspiration of the historical Buddha and his followers right down to our teachers sitting before us, exemplifying dedication to spiritual development, helping us to understand that we each have access to our own Buddha nature. We take home the Dharma from the nightly talks when the teachers tell stories to demonstrate the dharma, drawing from their own life experiences, their own unskillfulness, their own mindless moments, for the benefit of their students; and from our group meetings with teachers and the answers they give us to our questions. And we take home the Dharma from the teachings of the natural world as we walk or sit in silence, opening to its wisdom, its ready answers to any question that is rising up within us. And often the sweetest of all, we take home the Sangha – the feeling of being supported by each other during the retreat, inspired by each other’s dedication to the practice, to staying with our experience even when it is difficult. This may sound odd since we are in silence and have no eye contact and are in our own little bubbles of protected space. But during the days of the retreat, as the silence, relaxation and safety sinks in to our beings, we increasingly feel our deep interconnection. We begin to understand how it’s possible for that flock of birds to move together as one being, turning in unison as they fly. We sangha members move not in perfect unison, but with spaciousness and natural courtesy that feels as if our personal bubble is an energy field, and we all sense the energy fields when they touch, so that our bodies don’t bump into each other. Which is good, because in silence you can’t say ‘excuse me.’ I remember when we were given an hour of practicing coming out of silence the night before the close of the last retreat I was on, and suddenly we were bumping into each other and saying ‘sorry, sorry’ all the time! As if silence was what had kept us in a cohesive sense of unity. Afterwards, when the retreatants have gone to their homes all over the world, there is still this awareness that they are there, connected through this shared intention to practice being mindful in our lives. And having felt the sweetness of the sangha on retreat, we find our sangha in the outer world. Though they didn’t sit beside us in the meditation hall, or across the table in the dining hall, or share a room with us in the dormitory, or walk back and forth beside us in the walking hall, still we know them to be our sangha sisters and brothers, sharing our intention to hold the world in an open embrace. We recognize them in their compassion, their supportive or inspirational energy, and their willingness to be present. A sangha is not a clique or a club that let’s you in under certain conditions or has the right to keep you out. It is, in its broadest sense, those people in your life who nourish you, who support you in your practice, even if they don’t know it. So after a retreat, even after the serenity has lessened, we take home the three refuges. In our daily lives we are supported by them. They comfort us, inspire us and keep us as present as we can be in this moment. That is the long lasting gift of the retreat. And it is a gift not just to ourselves but to those around us. Taking this time for ourselves is an act of generosity to the world. This entry was posted in Buddha, Buddha's Brain, dharma, http://schemas.google.com/blogger/2008/kind#post, retreat, Rick Hanson, sangha, Spirit Rock Meditation Center, three refuges, Triple Gem on April 4, 2010 by Stephanie Noble. I continue to read Buddha’s Brain by Rick Hanson, and I really appreciate learning the scientific findings of the value of meditation, how it “increases gray matter in the brain regions that handle attention, compassion and empathy.” He says that reports show that “It also helps a variety of medical conditions, strengthens the immune system, and improves psychological functioning.” This has certainly been my experience, and the experience of so many regular meditators I know, but it is fascinating to see the science of it. When I think of how often I was sick as a child and a young adult before I took up meditation, and how strong my immune system is now, according to recent blood work, I have to believe that meditation is a key reason. One of my students, upon hearing that I haven’t had a cold or flu in years said, “Just wait ‘til your granddaughter’s in day care!” She’s right. The health benefits of meditation will be put to the ultimate test! Back in the 1980’s when I was an ad exec, I remember telling myself I was ‘too busy’ to do any meditative practice, even though I knew full well how nourishing the practice was for me. After a while I got so ill with chronic fatigue immune dysfunction syndrome that I had to quit my job and be flat on my back for the better part of the day for nine months! Who’s too busy now? I had to quit my job and one of the things I still could do was meditate. So I had myself a very deep and extended personal ‘retreat.’ I was very fortunate to have the practice in my life again, for I healed from this usually chronic and life long condition in record time. I’ll never know what part of my treatment effected the cure, but I know that my inner journey at the very least made me available for healing. Now reading the scientific finds, I can allow myself to give the meditation even more of the credit for my well being. And the inner journey resulted in the book Tapping the Wisdom Within, A Guide to Joyous Living. There was a week in 2007 when we were buying our casa in Mexico and running around stressing out, feeling very deadline-driven, trying to get the house sufficiently furnished with diminishing funds before our return flight to the US, so we could rent it out, when I was suddenly stricken and bed-bound with a strange dizzy disease. Again, I had had ‘no time’ to meditate! So maybe the illness was just a note to self to slow down and return to regular meditation practice. While I feel perfectly healthy right now, and have a strong meditation practice in place after being less consistent during our recent stay in Mexico, I am noticing that I have been feeling an incredible amount of physical pressure as I work towards deadlines on taxes and other projects. Sitting with it I notice that it feels like I am being ground and put into sausage casings! Ugh! But what a useful thing to notice. Another note to self. So it was very helpful to me to come upon Rick Hanson’s mention of the Three Refuges. I realized that I have not addressed them in any dharma talk but they are so important! They are important to me right now as I go through not just tax time but a period of transitioning back into the American way of life after the easy flow of Mexican living, and trying to be fully present at this time of holding great joy at the birth of my granddaughter and some worry at the same time as a close family member is scheduled for surgery. When we are skillful enough to be able to hold both extremes of our current experience in an open hearted balance, the result is Upekka, the fourth of the Four Brahmaviharas, the heavenly abodes that are the precious gifts of the practice of meditation. But what does ‘skillful’ mean? It means that instead of grasping at the joy and pushing away or avoiding thinking about the fear, we are simply aware of them, aware of the effects of them in our lives, our bodies, our thoughts and emotions. Skillfulness is making room for them to exist in our experience without over-dramatizing them, discounting them, getting lost in them, or using them as leverage to catapult some inappropriate behavior out into the world. Instead, through meditation, we create an interior spaciousness for all of our experience to be noticed and acknowledged. This is skillfulness. When we do feel overwhelmed by what arises, we are encouraged to take refuge. A person without the benefit of meditative awareness training might be more likely to take ‘refuge’ in things that lead away from mindfulness and potentially become addictive. Typical examples of this are going to extremes with eating, drinking, drugs, gambling, escapist books, computer games or chats, movies, television, computer, exercise, work, shopping, socializing, etc. When we pursue these extreme routes we literally lose ourselves in them, and thus we feel a temporary sense of relief from whatever is bothering us, whatever fear we are trying to avoid. But the route itself creates even more problems and doesn’t allow us to deal with and heal from the experience we are so desperately trying to avoid. The Buddha advised taking refuge within the experience itself. It may seem counter-intuitive, but being with the experience is the most powerful healing tool we have. But how do we stay present with the experience if it is so painful? How do we cope with this sense of being overwhelmed or not in the driver’s seat of our lives? We take refuge. Real refuge. How I experience this in my body is easier to demonstrate than to describe. But I’ll try: Imagine a normal stance. Then imagine that you see a great weight coming your way that you will have to receive and carry. How do you adjust your stance? Well, a skillful adjustment would be to have a solid footing, then let your knees flex, your hips drop a bit, so your whole stance deepens, so that your arms rise up from your core when they open to receive and carry this extra weight. There is also an alert presence to changing conditions. This is a good way to think about how we cope with emotional weight as well. A solid footing, greater flexibility, a deepening, and working from the core, and staying fully present for our experience. First we take refuge in the Buddha. We take refuge in the historical Buddha’s generosity of spirit, thinking upon how he shared his wisdom freely for forty years as a dedicated teacher. We take refuge in knowing about the struggles he went through, allowing ourselves to be inspired by his dedication to liberate himself and all beings from suffering. We take refuge in the fact that for over 2500 years in this tradition, and in many other traditions as well, there have been other awakened beings, and many practitioners and teachers from whom we can draw strength and inspiration. We take refuge in the faith that, given all who have trod this path before us, we too have the seed of Buddha nature within us, the potential to wake up to this moment in every moment, if only we set our intention to be available for it’s wisdom to inform us. This is taking refuge in the Buddha. Dharma is the recognition that suffering exists in the world, and in ourselves — the First Noble Truth. It is the recognition that the cause of suffering is our grasping and pushing away — the Second Noble Truth. It is the recognition that while pain is unavoidable, it is possible to not amplify the pain by the suffering we cause ourselves and others through our unskillfulness — the Third Noble Truth. And it is recognizing that the path to skillfulness in overcoming suffering is The Eightfold Path: Right (or Wise) View, Intention, Mindfulness, Concentration, Effort, Action, Speech and Livelihood — the Fourth Noble Truth. These Four Noble Truths form a solid foundation of Buddhist teachings. We take refuge in this solid foundation for our own exploration of the truth for ourselves in each moment. Third, we take refuge in the Sangha. 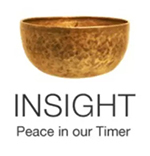 Sangha is the pali word for the community of meditation practitioners whose presence helps us to stay on the path, whose wisdom and insights in their own lives helps us to see more clearly when we are suffering or unskillfully trying to escape from the pain in our lives. Like the network of roots in a redwood grove, the sangha supports us all, allowing us to be flexible and resilient. The Three Refuges are also called the Triple Gem or the Pali word tisarana. At the beginning of each Buddhist retreat, the assembled retreatants together take these Three Refuges, in a chant. To see the chant, click here. But we don’t have to be on retreat, the refuges are available to each of us in every moment, and it was so nice to be reminded as I was reading Buddha’s Brain, that this might be a time for me to take refuge. If the Pali or Sanskrit words don’t resonate for you, or the Buddha isn’t your cuppa, it’s worth taking a little time to determine first of all, the inspirational figure whose wisdom and values you aspire to. This is not in order to be like them, but to notice and strengthen the resonant qualities in yourself through recognition and appreciation. Accessing the dharma is to tap into the universal wisdom from which the dharma springs. During my almost year-long period of illness back in the early 1990’s, I meditated so intensively that I accessed this universal source of wisdom, through my own quirky lens, and chronicled it in my book long before beginning to study Buddhism. So it’s not that Buddhism has the corner on the wisdom market. It’s just that it expresses it with such clarity, and has transmitted these teachings through millennia with great success at retaining the original message and inspiring us to look within rather than requiring us to trust blindly in the findings of others. In different cultures this will take on different forms of expression, but there will be an underlying clarity of truth that brings forth compassion for ourselves and others, a sense of interconnection so that we know that we are not alone in the world, and how that brings both comfort and responsibility, and a willingness to be with whatever arises in the moment with an open heart. So find the words of wisdom that speak most clearly to you. Whatever teachings resonate truth for you, work with them in a state of curiosity. Question ‘Is this true?” and sit with the answer. Insight meditation is this active openness to exploration. It is this continual opening and exploring that keeps spiritual life alive. To simply memorize and spout words is not taking them in in a meaningful way. Certainly there are religious personages throughout history who insist that dogma be force-fed and taken on their word alone, but this is not the tradition that the Buddha taught. He taught his own findings along with the means for each of us to find out the truth for ourselves. His way was to empower each of us to find our way, rather than use his knowledge as power over others. The third refuge, the Sangha, is the people in our lives who support our practice and our spiritual well being. It’s worthwhile to consider who those people are, so that when we are feeling overwhelmed and less able to make such considerations, we will have a ready idea of whom we might call upon to be a refuge in time of need. When we ourselves are feeling overwhelmed is not the time to spend with those whose energy depletes us. When we are feeling more in balance, we can be there for them, of course. But for now, we send them metta, loving kindness, but take refuge in company that nourishes us. I have heard it said that taking refuge in the Buddha, Dharma and Sangha is the only requirement to be a Buddhist. And although we’re not about ‘being’ Buddhists, but about studying Buddhist concepts and practicing Buddhist techniques for awakening, we can still see that this act of taking refuge is a valuable one, whatever words we use. This entry was posted in benefits, Buddha, Buddha's Brain, dhamma, dharma, healing, health benefits of meditation, http://schemas.google.com/blogger/2008/kind#post, sangha, Taking refuge, Tapping the Wisdom Within, three refuges, Triple Gem, upekka on March 25, 2010 by Stephanie Noble. I am every kind of mother — a step-mother, a biological mother, an adoptive mother, a mother-in-law and a grandmother. And I am blessed in all those close loving relationships. But I’m also a daughter, and on Mother’s Day, that’s where my heart goes. My mom hated Mother’s Day. She thought it was just Hallmark making up a phony event to sell cards. I would beg her to just let me thank her, just let me celebrate that I had the good fortune to have her for a mother. She could be prickly that way. Now she can’t complain, and my brother and I coo over the phone about our beloved mother, whom we’ve missed these last twenty years. Mothers who are able to bring awareness into the moment through their practice of meditation have a much better chance of responding skillfully to whatever arises. Mothers who know how to stay fully present are able to savor all the little joys that make parenting such a delight. They can pace themselves better, they can really give their child full attention instead of focusing on some goal of getting the shopping done or any of numerous other practical requirements of their day that seem at the time so much more pressing. They can let go of comparative parenting, worrying about whether their child is keeping up with little Bobby in pre-school. Children, due to ongoing close proximity to their mothers, see us in all our various guises from fairy godmother to Satan incarnate. And we deal with remorse for not being the perfect mommy in every moment, even as we know that’s an impossible expectation. So what does the Buddha say to mothers or about motherhood? Well, we know that he revered motherhood and encouraged meditators to practice “as a mother would risk her life to protect her child, her only child.” But all the Buddha’s teachings can be useful in mothering, because they help us to be skillful and balanced. Parenting is a dharma practice in itself, requiring an unparalleled level of commitment and discipline. This is valuable to remember while we are in the process of raising our young, when sometimes the work involved can feel mind-numbing. Chop wood, carry water, raise baby. Allowing the mind to be spacious, to let go of the need to be mentally challenged in every moment, to let this be enough for now. These are the gifts of the practice. And in this parenting practice we learn a good deal of dharma, develop intuitive understanding and an earthy wisdom. Like every transformative life experience, motherhood has its lessons. And like many of life’s transformative lessons, one of the major one’s is learning how to let go. From the moment a woman gives birth she finds she is in a protracted state of letting go. Suddenly that little person who was so safely curled within her womb is now out and vulnerable and in need of her protection. But with each step toward independence, the mother must step back a little further. When the child can walk on his own, she doesn’t insist on supporting him, but she’s close at hand to catch him. When a child can dress or feed himself, she doesn’t insist on stuffing his sweet chubby arms into sleeves or continue to spoon pureed carrots into his mouth when he wants to do it himself, even though she knows he will make a mess of it at first. She lets go, bit by bit, and tunes herself to subtle and not so subtle cues that tell her she needs to let go more, or maybe, oops, she’s let go a little too much a little too soon. The letting go reaches an often painful crescendo in adolescent years. The child slams doors against the mother, fiercely forcing her to step back further and further. This retreat is a challenging one, because of course the child is not independent, does not have perfect judgment, and may be doggedly pursuing a course sure to bring pain or worse. So finding that balance of support but release is a tightrope for the parent. It requires being fully present in this moment. Letting go of the past – almost impossible with a child you have known so intimately in all his stages – acknowledging that this person is at least to some degree new in every moment, rebirthing themselves, discovering themselves and making choices. Just as we do in meditation, we exert Right Effort to find that right balance, neither too much nor too little, firm but compassionate. And then the child is an adult, and the definition of motherhood, parenthood, is revised totally. How to skillfully craft a relationship with this wondrous young person that acknowledges that the intense mothering period of the relationship is done. That is the challenge we face now. How far do we step back? What is skillful? How much buttoning and zipping of lips can we do without making the relationship inauthentic, a surface exchange of niceties that satisfy no one? I remember when my mother and I were working to develop an adult friendship. She clearly felt she had the right to dictate my behavior and my appearance. Exhausted from our bickering battles, I finally asked her to stop before speaking and ask if she would say such a thing to a close friend. Eventually our relationship became truly a joyful friendship, but even then I recognized how much effort she had to exert to develop this new pattern of talking to me. And now I challenge myself to do the same with my adult children, and I am humbled again by her valiant effort and how much love she expressed in doing so. Each of us faces our own challenges in relationships with our parents and our children, and we do the best we can. We mothers support each other as we deal with these challenges, and that has been true since our children were born. The sangha of motherhood is a strong one, and necessary for the survival of the species. A mother struggling alone needs to reach out to her friends. For most of us who are mothers of adult children, the challenge is to let go enough so that our children know that we love them but don’t feel us breathing down their neck. My wonderful Aunt Frannie, mother to seven, six living, advises to be “distant but interested.” We do a disservice to our adult children’s development if we are a ready resource for funds. We cripple them if we short circuit their thinking through a problem and coming up with their own solution. And we cripple our relationship with them as well. A breast-feeding mother will sometimes feel like the only thing this little sucker wants her for is milk. We can re-enact that same relationship with adult children if we aren’t careful. Let support come in our willingness to listen and to express our pride in them, nourishing them in ways that promote their well being rather than their dependence on us. Part of the art of not being overly involved in our adult children’s lives is discovering another passion equal to our ability to nurture it. If we are healthy and sufficiently secure, perhaps we come to this rich period with some sense of excitement about some long deferred focus we want to pursue, even if we haven’t named it quite yet. We can take this lifetime of mothering experience, this earthy wisdom and natural ability to create and nurture into another arena. Perhaps this has been our lifework, or perhaps it is what we have been waiting to do until we had more time. Or perhaps its something we have yet to discover. But whatever it is, the skills we bring to this creative project, this worthy cause, or this exploration are of enormous value and can sustain us in whatever we do. This entry was posted in Buddhism, dharma, http://schemas.google.com/blogger/2008/kind#post, motherhood, practice on May 14, 2009 by Stephanie Noble. Holding the world in an open embrace is my primary intention, so I’ve made it the title of this blog. But what does that mean: an open embrace? I visualize it as holding my hands together uplifted, at a comfortable level in front of me, as if putting them under a faucet to get a drink of water, gently cupped. In this position my hands are able to hold my current experience without smothering it. This position is loving, nurturing -– I can even use one of the hands to pet the moment! — and it is open enough for me to be able to fully observe, satisfy my curiosity, and sate my thirst. The open embrace is the opposite of grasping, clinging, trying to hold on tight to this moment – or this person – and feeling the ultimate wrenching when the moment passes or the person is gone. It is also very different from putting my hand out like the Supremes doing Stop in the Name of Love, trying to keep the world at bay. Good luck with that! Moments come and go whether I want them or not. The open embrace saves me from a whole range of self-deceptive techniques I might use to pretend that I can hold onto anything permanently or avoid dealing with experiences. There are no TiVo controls! Except maybe the pause button. Yes, there is one of those, and it’s called meditation. But meditation is much more than just time out of our busy lives. It’s a large and inviting gateway to the present moment. Won’t you join me on this journey exploring meditation and Buddhist concepts? This entry was posted in Buddhism, dharma, http://schemas.google.com/blogger/2008/kind#post, intention, moment, open embrace on July 15, 2008 by Stephanie Noble.